To process search requests, website search engines require natural language processing (NLP) and reverse indexing. Furthermore, they also need to ensure the presence of data intensive computing to provide accurate search results consistently. This calls for an infrastructure with high CPU computing power and I/O capacity. Organizations can deploy the front-end search service using Elastic Compute Service (ECS), Server Load Balancer, and Content Delivery Network (CDN). 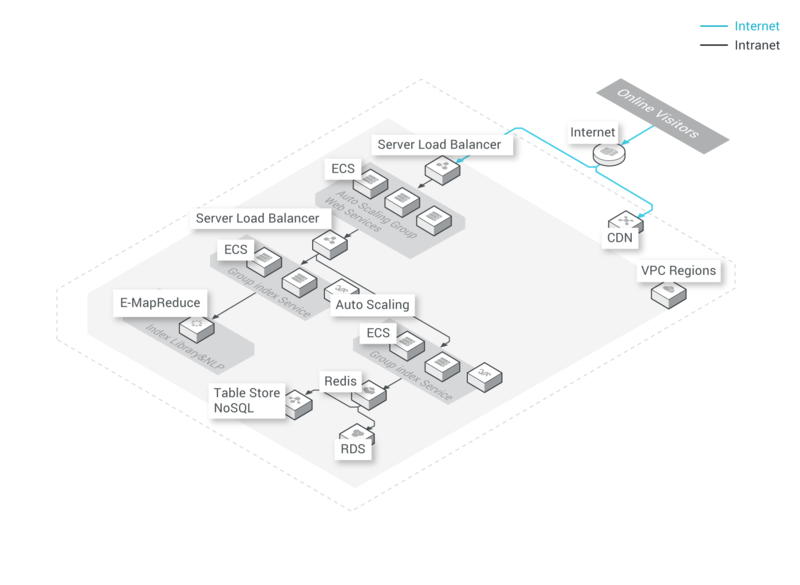 To build the backend search web-service, one can use Server Load Balancer, ECS, and ApsaraDB for RDS. The backend search service performs NLP on incremental data and generates a reverse index from the indexing framework. The ECS Input-Output (IO) optimization instance provides high-performance network IO and disk IO, helping the index framework to complete the index operation faster. Table Store stores the processed data for subsequent searches. The Alibaba Cloud Table Store NoSQL database service is similar to HBase and provides storage and real-time access to massive unstructured data.